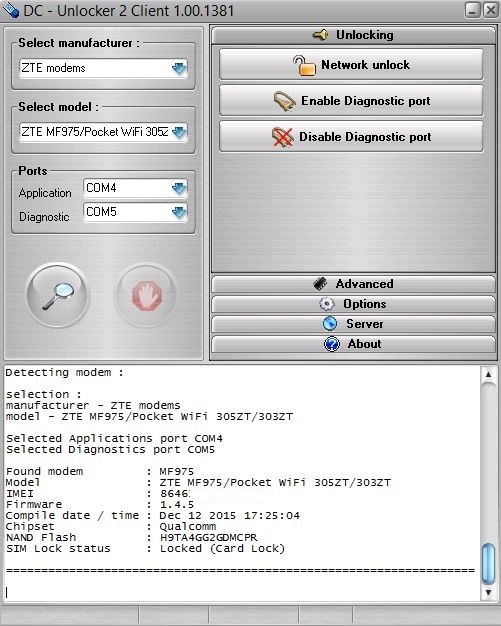 How to Check Unlock Code Counter in ZTE USB Modem and Hotspot Router? ZTE USB modems and MiFi routers can be unlocked easily if it asks for unlock code after changing the SIM card (other than default). But, a few devices, like Airtel MF90, Idea MF90 Plus, and some others do not ask for NCK code after changing the SIM card. It is very difficult to determine that unlocking attempts are left to enter or not. This post will help you in checking the unlock code counter. You can only try up to 5 wrong attempts in ZTE modems and routers. Once 5 attempts are finished, there is no way to unlock the device. 2. Right-click and Run as Administrator. 3. Under “Select Manufacturer”, select ZTE modems. 4. Click “Search” Magnifying glass. 5. It will detect the device and display the details of connected router/modem. 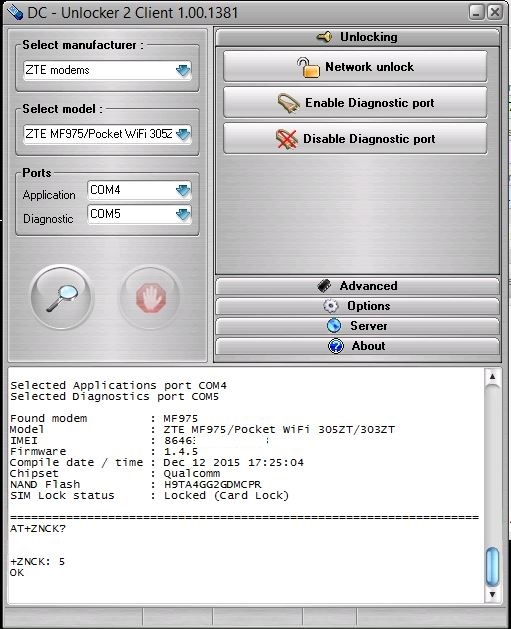 Note: In my case, I am trying to detect the unlock code counter of ZTE 305ZT WiFi router. 7. Now, press Enter from the keyboard. 8. Now, it will return +ZNCK: 5. Here, number 5 is unlocking attempts left to enter the code into the device. If you will try to unlock with wrong codes, then attempts will keep decreasing. Once the remaining attempt will be 0, then you can not unlock the device. Previous articleHow to use a ZTE USB data modem without the Connection Manager? Next articleHow to Unlock AT&T Home Base?